There are many great places to drink cocktails in Amsterdam. We know that they’re not cheap, but our list includes only bars that serve affordable cocktails. There are a lot of places you can visit. We selected the best cocktail bars for you! To truly enjoy cocktails, it helps to know the classics. At this place they serve drinks inspired by bartenders generations way before us. They value the beauty of simplicity to make lovely cocktails. One of their bartenders, Tess Posthumus, is one of the most famous bartenders of the world. They also offer workshop to learn all about the interesting stories behind their cocktails. If you like it more exclusive, Door 74 is the place for you. This cocktailbar is even hard to find and they did it on purpose. 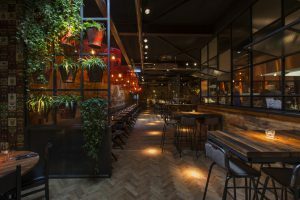 The hidden bar ‘Door 74’ is the first speakeasy style cocktailbar in The Netherlands. The sophisticated atmosphere and delicious creations from Timo Janse and his team makes this bar a true experience. We suggest to make a reservation. They have a menu with a lot of different cocktails. Even one with candyfloss as one of the ingredients! They also serve food with a modern take on French classics with spices all over the world. Great to combine dinner with a cocktail (or two) for dessert. They are located in the centre and the place looks really fancy. They even won an Interior Design of the Year Award. When you enter the Butcher you’ll see a stylish burger bar serving top-quality burgers. The cocktail “area” is hidden at the back of the burger bar. The bar is behind a big metal door where you can ring the bell. The cocktailbar is small, but looks trendy. 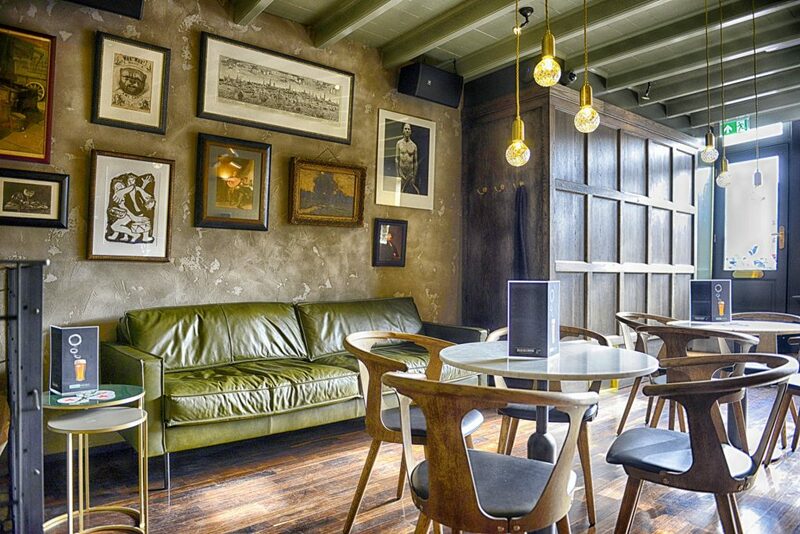 This bar is located in the heart of Holland’s most famous market and the city’s trendiest neighbourhood, De Pijp. Panache is a restaurant, but also features a large bar with a speciality of cocktails. Panache is created by a group of friends who decided to work together. They converted the old market storage into a vibrant bar & restaurant. Panache means “A flamboyant, original, confident but little reckless way of doing things”. Do we have to say more? We understand that you probably can’t visit all of the bars as you have to visit them good coffeeshop too, but we suggest to try at least one of them. Enjoy your cocktail! Best bar in Amsterdam where smoking (pure) weed is allowed? 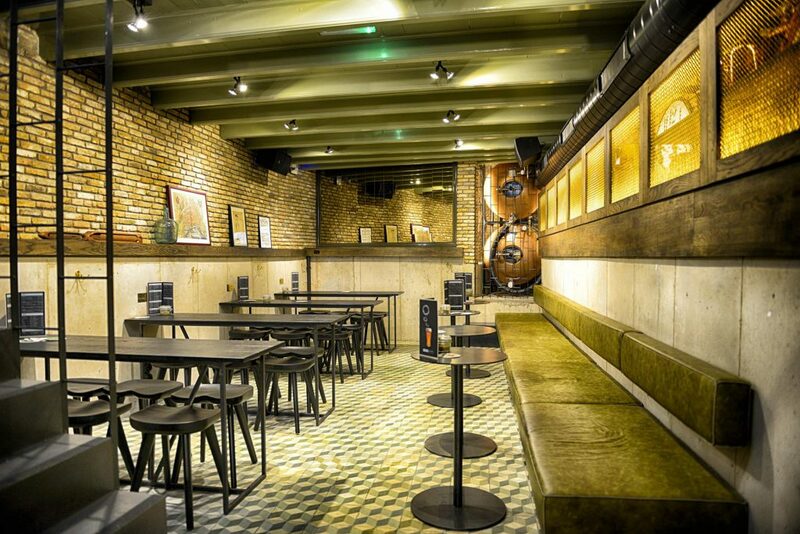 This hot-spot in the city centre offers lots of busy happy hours!